This Book of Memories memorial website is designed to be a permanent tribute paying tribute to the life and memory of Norma Hayes. It allows family and friends a place to re-visit, interact with each other, share and enhance this tribute for future generations. We are both pleased and proud to provide the Book of Memories to the families of our community. 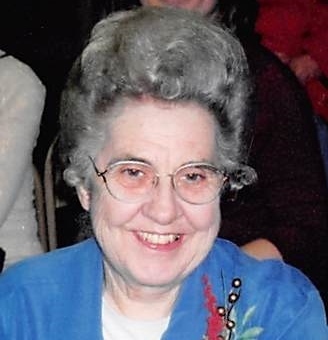 Norma (Pryor) Hayes was born October 12, 1927 in Hallowell, Kansas to Olon Pryor and Ruth Zwahlen and passed away Friday, March 30, 2018 at the age of 90. She was a born-again Christian and a member of the Church of God (Holiness). Norma was united in marriage to Haird “Red” Hayes of Cassville, Mo. in 1946. Norma was preceded in death by her mother Ruth, her husband Red, and a sister Jewell Simpson. She is survived by her daughter, Rita Aldred and her husband Jim of Springfield, daughter Nita Hayes of Kansas City, Mo., and son Dwight Hayes and wife Kim of Broken Arrow, Okla., grandchildren Matt Aldred and wife Lindsey, Rick Aldred and wife Emily, Liz Jenkins and husband Jordan, Nick and Carly Hayes, great-grandchildren Maddox and Haven Aldred, and Francesca Aldred. One brother Leon Pryor and wife Susie of Marshfield. The family would like to thank the staff of Maple Wood Alzheimer’s Special Care Center and Regional Hospice for their care. Visitation will be held from 12 to 1 p.m. with services at 1 p.m. on Wednesday, April 4, 2018 in Greenlawn North Funeral Home in Springfield. Burial will be at Sparks Cemetery, near Butterfield, Mo.